Lucid 2" Memory Foam Mattress Topper Review - A Soft Addition? 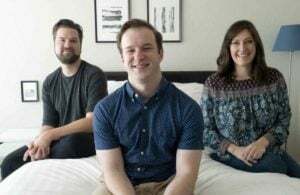 Home » Lucid 2″ Memory Foam Mattress Topper Review – A Soft Addition? If you want to change the feel or firmness of your mattress, you might want to consider purchasing a mattress topper. 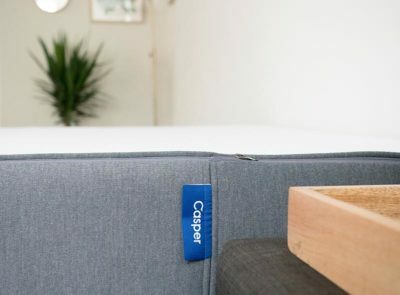 It’s a quick, convenient way to enhance your sleeping experience without buying an entirely new mattress. 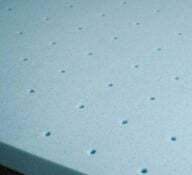 One of the more popular mattress toppers is the Lucid 2″ Gel Infused Ventilated Memory Foam Mattress Topper. It is sold at a value price and features some very soft memory foam. As a fan of the memory foam feel, I was excited to try the Lucid out for myself. Will this soften your mattress and add that soft memory foam feel? Read on for my full review. 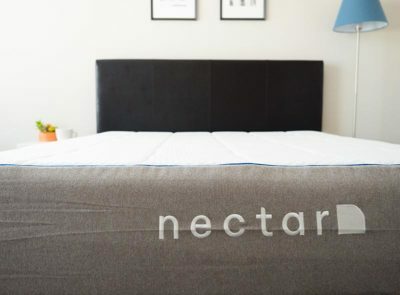 The Lucid is a value topper that adds that soft memory foam feel to your mattress. You are a back sleeper. If you sleep primarily on your back, the Lucid could be a good choice. Especially if you sleep on a firmer mattress, this could add some more contouring to your mattress and also help support your lumbar area. You’re a side sleeper who wants more pressure relief. 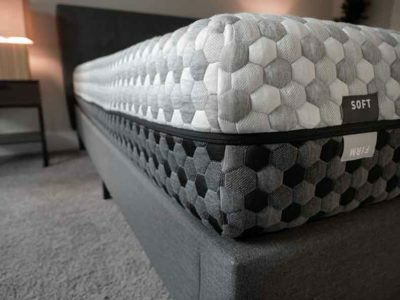 If you sleep on your side, this mattress topper should give you some more pressure relief. 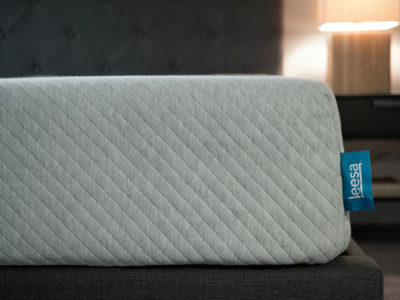 While testing the topper on a firmer mattress, the Lucid took off about a point of firmness. No matter how firm your mattress is, the Lucid should help relieve more pressure on your shoulders and hips. You want a value mattress topper. Those who are looking for a mattress topper but don’t want to spend too much should consider the Lucid. It is a very nice memory foam mattress topper that costs under $100. For not much money, you could add a nice feel to your mattress. You like a memory foam feel. If you are a fan of slowly sinking into your mattress, the Lucid should be a good option. It has a bit of the slow-moving, “quicksandy” feeling that you get with memory foam. 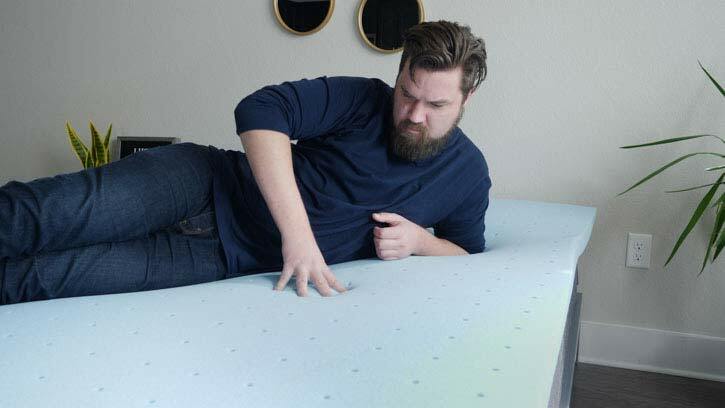 If you like that feel on top of your mattress, the Lucid is the way to go. You don’t like a memory foam feel. If you don’t like slowly sinking into your mattress, this might not be the topper for you. It has that slow-moving memory foam feel, so if this is not your style, you might want to look elsewhere. You are a stomach sleeper. If you sleep on your stomach most nights, this memory foam mattress topper might not work for you. It actually softens the mattress, and you might feel less support on your hips. If you are a stomach sleeper, a soft mattress topper might not be the best choice. You have trouble moving around. One of the drawbacks of memory foam is that it can sometimes make you feel stuck. If you’re worried about moving around on your mattress, the Lucid might not be the best option. I personally felt some difficulty when I changed positions. You want a longer-lasting mattress topper. If you want a mattress topper that is going to last you for a good amount of time, the Lucid might not be it. It is made of memory foam with a 3 lb density. While it is open-celled, this foam might start to sag after a few years. If you want more of a long-term investment, consider something with higher density foams. This model is 2″ thick. You can also choose from models that are 3″ or 4″ thick. The topper is made of memory foam with a 3 lb density. It is open-celled to fight sagging and body impressions. The memory foam is gel-infused, which is meant to help with temperature regulation. In addition, the memory foam is ventilated. This allows for airflow and is meant to further prevent overheating. 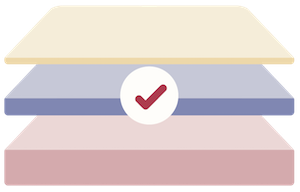 The memory foams used in Lucid mattress toppers are CertiPUR-US certified. This means they are more eco-friendly than conventional foams. You can opt to leave out the gel infusion. Lucid also offers models infused with lavender essential oils and bamboo charcoal. In terms of size, Lucid offers the topper in Twin, Twin XL, Full, Full XL, Queen, King, and California King. After opening up the Lucid’s box, I will say that there was off-gassing. This is not surprising given that the mattress topper is made of memory foam. I gave the Lucid two days to off-gas and fully expand. After that, I did not notice any chemical smell. One of the main reasons people buy a mattress topper is to add some softness to their mattress. To test out the softness of the Lucid, I placed it on a firmer mattress. Without the Lucid on top, this mattress feels close to an 8/10 in terms of firmness. With the Lucid, the mattress feels closer to a 7/10. While this is a subjective measure, I felt the Lucid adds at least one full point of softness. On my back, the Lucid definitely improves my experience. I feel some nice contouring, and the topper also helps support my lower back. Moving to my side, I do feel an increase in pressure relief. However, I am a larger person, so I do press through the mattress topper. Light- and medium-weight people should feel even better pressure relief than I felt. When I laid on my stomach, the Lucid actually made the mattress less supportive. I felt my hips sinking in and my spine was out of alignment. Most stomach sleepers might want a more supportive topper or should maybe avoid a topper altogether. 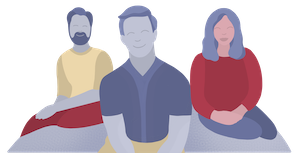 The Lucid adds that classic memory foam feel to the top of the mattress. While lying down, I slowly sink into the mattress topper. The material is not too fast to respond, so it is a bit difficult to move around. One problem with memory foam is that it can cause you to overheat. Lucid has taken steps to combat this issue. 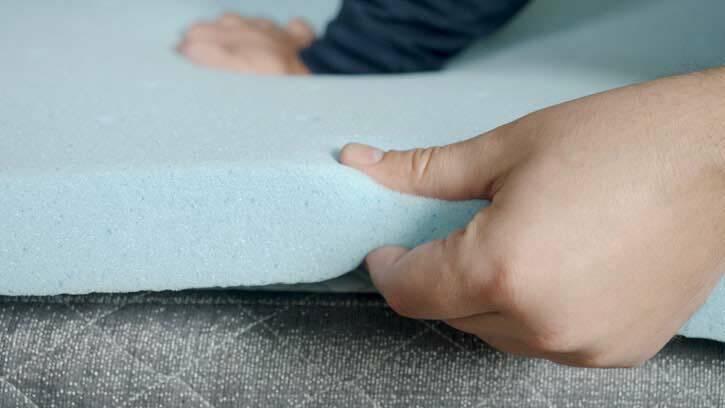 The topper features ventilated memory foam and is also infused with gel. However, after sleeping on this mattress topper, I would say that it does trap some heat. Hot sleepers should definitely take note. In the end, the Lucid Memory Foam Mattress Topper is a great value. It gives you a memory foam feel and some extra pressure relief at an affordable price. However, stomach sleepers and hot sleepers might want to look elsewhere. The Lucid comes with a 3-year warranty.